Rise & Shine makes a great first impression. 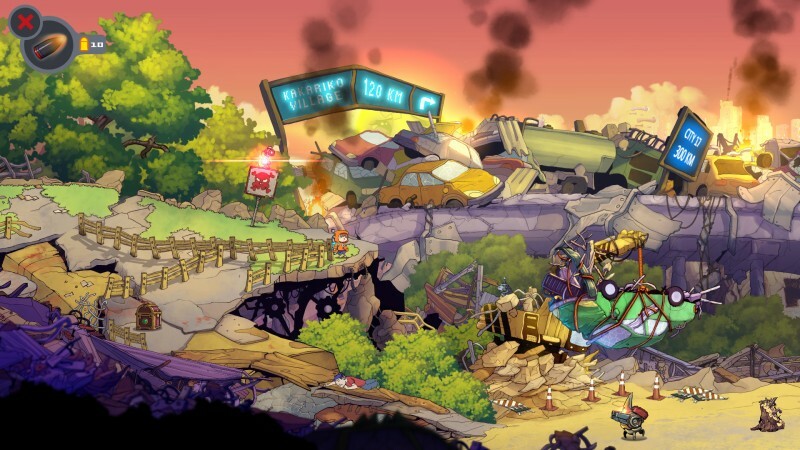 The parade of references to popular video games is initially amusing, and the charming visual style and twist on classic run-and-gun action draws players in. 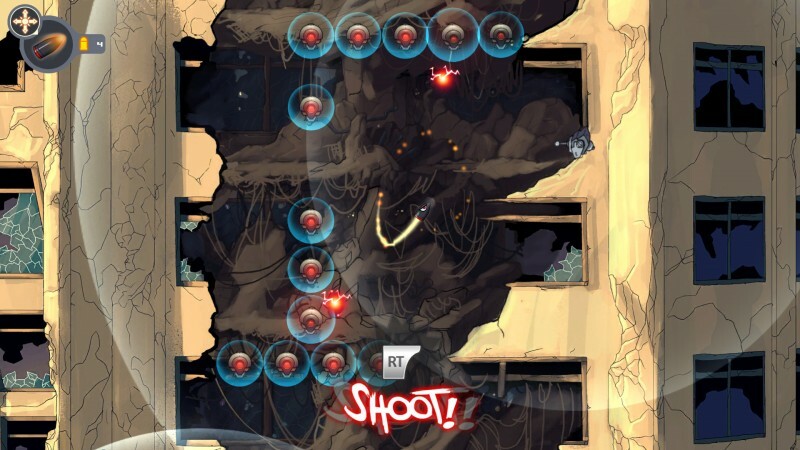 With an unconventional mix of shooting, bullet-dodging, and puzzle-solving, the opening stages demonstrate plenty of potential – but the more you progress, the more you see that potential squandered. 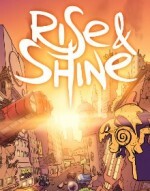 You control a boy named Rise who takes possession of a legendary gun, Shine. 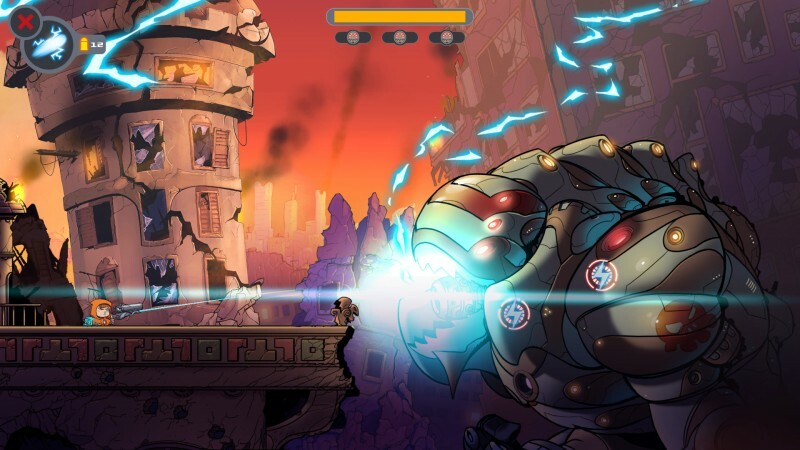 The duo fights through an invading force of robots and space grunts in what looks like a traditional side-scrolling shooter, but the gameplay is more involved than it first appears (though ultimately not involved enough). With two types of ammo – standard and electric – and different ways to modify your shots – standard, radio-controlled, and explosive – the encounters demand more strategy than just mashing the fire button. You switch bullet types and prioritize the most dangerous enemies, all while avoiding enemy fire. This sounds like a cool concept, but the execution is more frustrating than satisfying. Despite attempts to be tactical, the gunfights exist in an unenjoyable space between chaos and order. I can sense the intent to make the encounters like gun-based puzzles, but they are too hectic for precision, and the options are too limited to encourage experimentation. Standard battles boil down to a sea of robots blasting energy balls at you, while you shoot a spray of bullets back, keeping an eye out for the handful of foes (like shield-toting grunts) that demand special attention. If you’re fortunate, the screen isn’t completely covered with projectiles, leaving you a clear path to lob your explosive shot at the shield grunt. If you’re unfortunate, your shot hits a different target – maybe even you – leading to your death and forcing you to try the fight again. A punishing level of difficulty only makes the experience worse, and results from a combination of several factors. First and foremost, gauging where your shot will land is harder than it should be. You aim with the right stick, and though a glowing dot shows what you’ll hit, it’s extremely hard to see in the heat of combat. This makes it effectively impossible to fire with any precision when seconds matter. Sometimes you shoot that bomb out of the sky, and sometimes you shoot its parachute instead and doom yourself to a fiery death. Beyond the controls, I never felt like I had enough options to respond to situations; Rise can dash, jump, and take cover (when available), but your different ammo types are left underused. As your foes get more complex and numerous, your strategies don’t change, which makes the game less fun the further you progress. 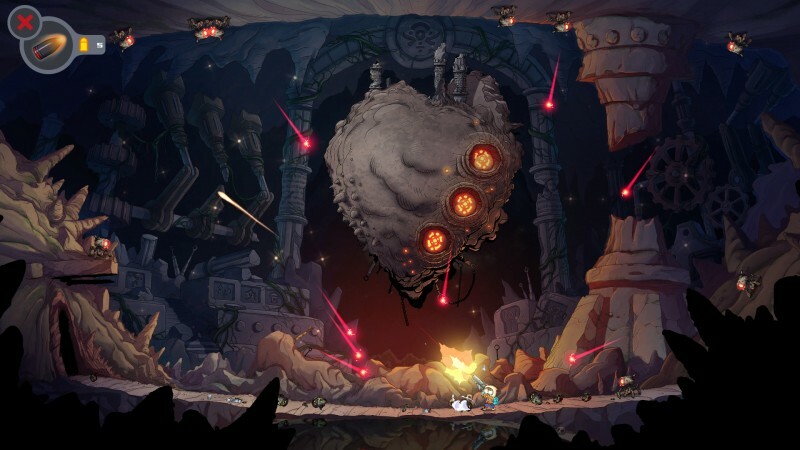 Even the final boss requires the same “dodge while shooting” strategy as most other fights, apart from firing a couple radio-controlled bullets when it’s incapacitated. Even so, I banged my head against this battle for nearly 90 minutes before finally beating it, enduring countless cheap deaths that I felt powerless to stop. 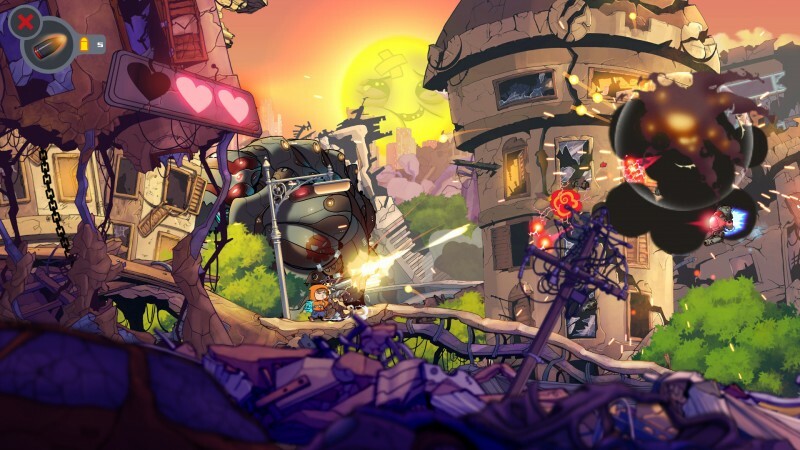 That’s the key difference between Rise & Shine and other games that revel in player death like Dark Souls or Ninja Gaiden. In those titles, you learn something from each death, and apply that knowledge to improve your next attempt. That happens here to a minor extent, but the element of chance plays a heavier role. You can only learn so much about the enemy configurations before you just need them to not converge in a particular way, especially in the final sections. Without escalating depth or twists on the gameplay, I never felt skilled when I won a hard battle. I only felt lucky. 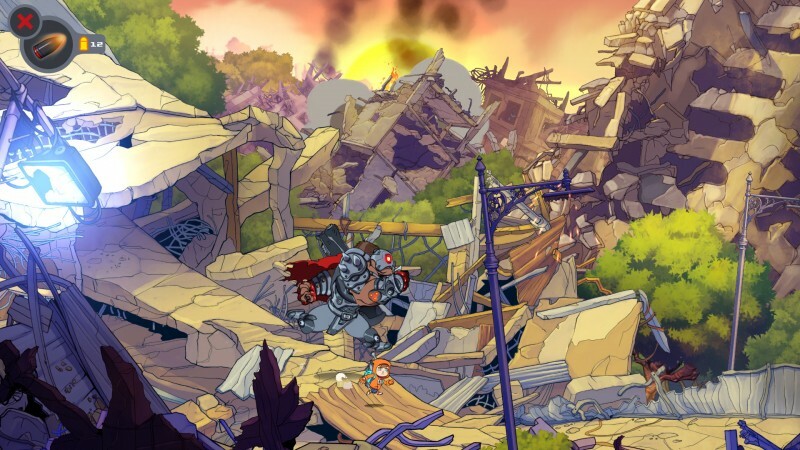 I’m sad that my enthusiasm for Rise & Shine dropped so thoroughly during my playthrough, because it’s not all bad. My favorite parts are the ones that lean heavily on puzzle-solving, like using your radio-controlled bullets to avoid incoming fire and hit switches. 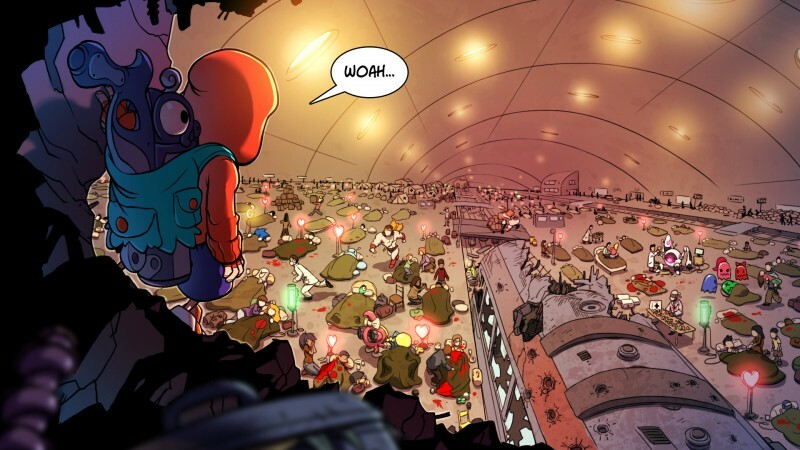 The art direction is also impressive, with colorful hand-drawn characters and landscapes that make the action pop. I even liked some of the nods to other games, including characters who are only as different from Mario, Link, and Marcus Fenix as law requires. 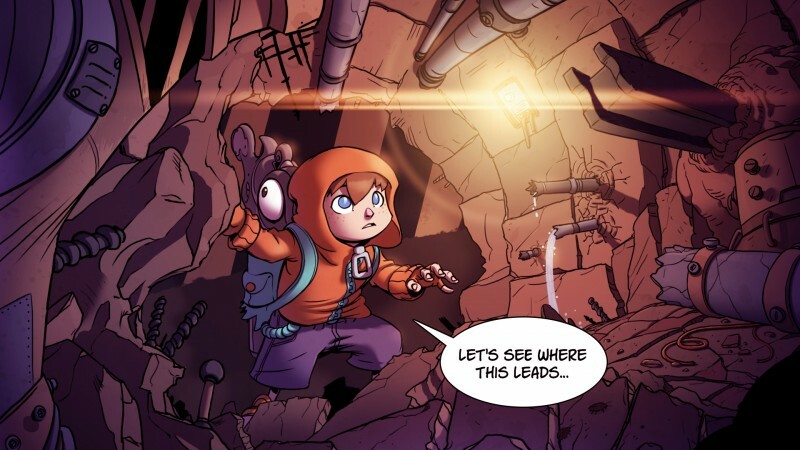 However, even these references get stale as you realize that the world has no identity of its own; it’s just an amalgam of game industry winks and nudges. 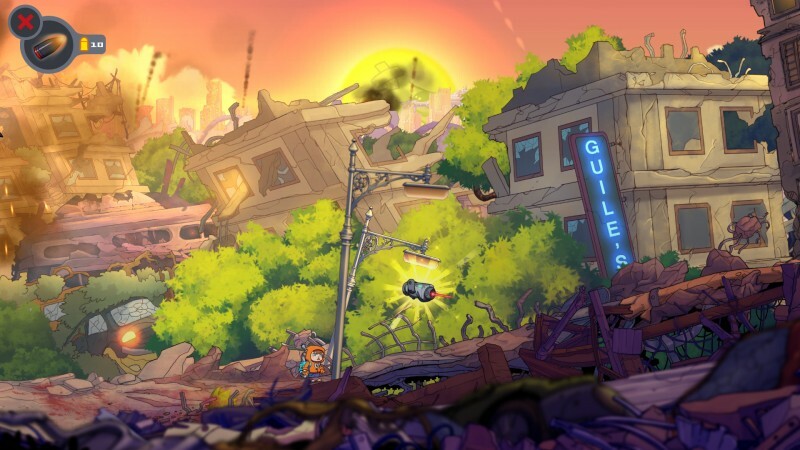 That kind of erosion sums up my feelings about Rise & Shine as a whole; it feels clever and promising at first, but doesn’t change its approach when the formula wears thin. 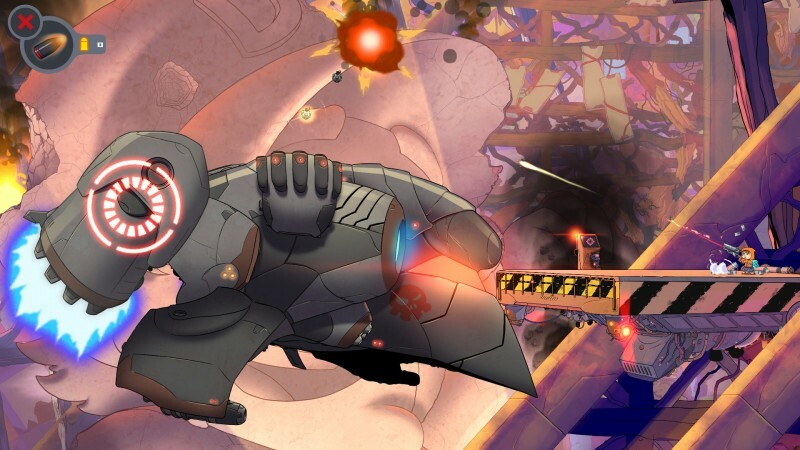 This unconventional 2D shooter has plenty of potential, but it gets squandered due to a lack of depth.